We hope you are enjoying the festivities – a time of togetherness & fun -a time to rejoice with your family and friends and create memories ! 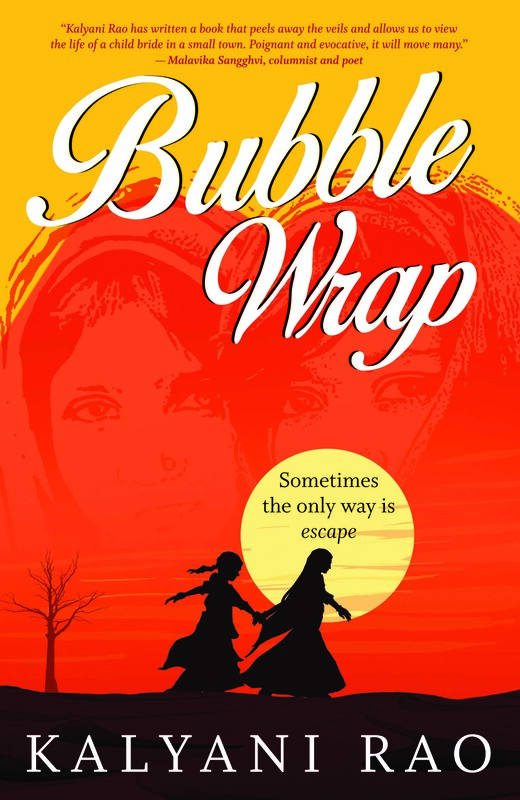 We bring you today an excerpt from a suitably named title -Bubble Wrap -a poignant tale of the life of a child bride set in small town Rajasthan. The tale traces the journey of the twelve year old as she negotiates the world she lives in accompanied by Gudiya, the fifteen year old widow of her cousin. The story, while dealing with a difficult subject, is ultimately a celebration of love and friendship. Twelve-year-old Krishna Singh who has been married off to Shyam Singh of Rokhagadh, Rajasthan.Before the wedding, Krishna’s grandmother gives her a box filled with exquisite jewellery, telling her to sell it in times of trouble, but otherwise to hide it from her parents and in-laws. Accompanied by Gudiya, the fifteen-year-old widow of her cousin, Krishna realises that her cold marital home is a far cry from the loving one she left behind. The world outside has modernized and is beamed via television into her home. But she is not allowed to go to school; instead a female tutor comes home to teach her. A dubious father-in-law, a husband away at boarding school, and a mousey mother-in-law clearly show Krishna what is a woman’s place in this family. An unfortunate incident leads Krishna and Gudiya headlong into a series of events that change their lives forever. As they deal with one situation after another, the girls discover each other and learn much about the world they live in. Bubble Wrap is a story about their fight for survival against impossible odds in a shallow male-dominated society. The entertainment troupe had come. They were busy settling their musical instruments on the floor. I went to the dancing lady and asked her if she could teach me a few steps. Her kohled black eyes looked at me. “Of course, aren’t you the bride?” I nodded. She turned towards an old man with a big bright orange turban and asked him to play the harmonium. He started playing and singing folklore. The dancing lady started to circle around and her bright pink ghagra started twirling. I followed her and moved my fingers to add some extra charm. The sky looked like a giant spinning umbrella. I liked the sweet clinking sound made by the dancing lady’s glass bangles. All my merriment came to an end when Gudiya came running towards us and pulled me aside. My head was spinning. Gudiya’s round face looked blurry. Gudiya is the wife of my dead cousin. She is sixteen years old. Her mother-in-law, my aunt, had not spoken to her since the day my cousin died in a freak accident (he was rolling marbles on the street and didn’t see the monster truck coming from the other side and he also rolled along with his marbles under the truck). “Krishna!! What are you doing? Don’t you know that your mother is looking for you? She wants you to come upstairs right this moment.” Gudiya gave one of her characteristic side-faced dirty looks to the dancing lady (I guess she thought giving a stern sideways look would intimidate the other person but somehow she always failed in her effort as her big round cheeks made her look less intimidating). Gudiya and I are friends but she is always scolding me and is very protective towards me. Most of the times we like to disagree with each other. I used to think she was jealous of me because I got to wear nice coloured clothes and play with whomsoever I wanted to and she had to wear this thick black ghagra and had to always cover her head with the end of her black stole. She could go out of the house once a day and had to keep away from all the religious functions. She was always grumpy but she played with me. She had made the best doll house for me. Maa had told me that she was sending Gudiya with me to Rokhagadh. She had said that Gudiya will ‘take care’ of me till the day I turned fifteen. Gudiya dragged me towards the staircase. I slapped her chubby arm to free my hand. I ran to the entertainment troupe and quickly picked up DadhiSaa’s jewellery box and wrapped it in the Pashmina shawl. The dancing lady smiled at me and patted my back. I sneakily looked under the light-weighted Pashmina shawl and held the heavy jewellery box tightly. Gudiya shot one of her side-faced dirty looks towards me. I ran upstairs and shut the door on her face. Maa was inside the room. 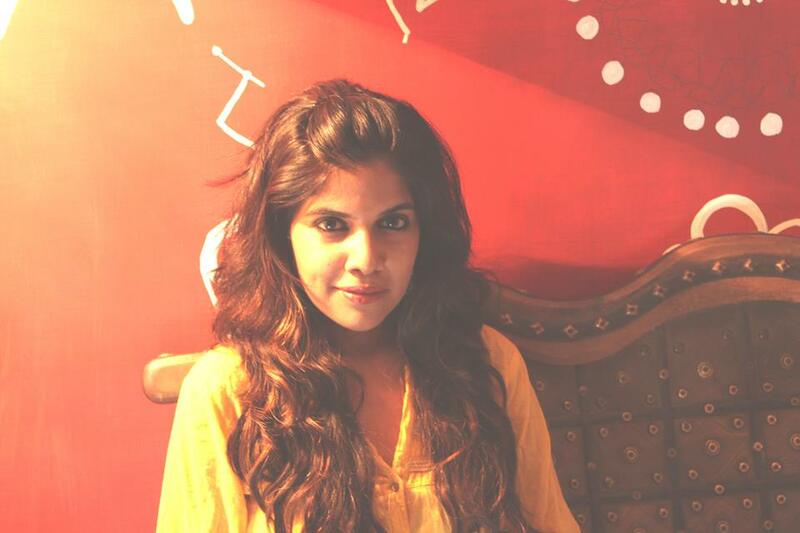 Kalyani Rao likes to describe herself as a travel junkie who writes. She believes that she has learned most of her lessons in life while traveling. Kalyani is based out of Pune where she also runs a theme-based Travel Company. A big fan of Haruki Murakami, she also blogs and some of her writing can be found at twinklingpebbles.wordpress.com. Bubble Wrap is the debut novel of this young entrepreneur.